How adorable, I see a strong Middleton influence here. See, I look at him and I see William all day long. Maybe it's the hair. Anyway, he's an adorably pudgy little man. Those cheeks! Some of his facial structure is very much like William...his eyes are like Kate's family. I love his hair color.. He look very much William in the pictures bar he has Kate's brown eyes. At the start he was more Kate when he was a baby and in his christening pictures but since Aus/NZ he has got more like William. Very cute toddler now and growing so much. I see more his mother in him. "Only a relative and fortunate few continue until the moment of death exploring the mystery of reality, ever enlarging and refining and redefining their understanding of the world and what is true..."
I think my favourite one is that one. You can literally see him thinking, "Once this is over, I wonder what kind of mischief I can cause!?!" LOL!!! Our little Prince is growing up into one cutie!! Whew! I'm glad I'm not the only one . Someone cleverer than me could put them side by side. Hmmm no he still looks more like William except for the eyes. Which is why I said except for his eyes. 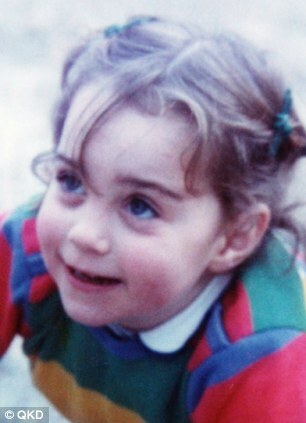 Thank you, that is just picture of Katherine as a little one that I was thinking of when looking at George with the exception of the light hair on him. IMO he is a real combination of both parents. George is super-cute. I used to think he looked like a mix of William and Kate or more like the Middletons; however, now I definitely see a stronger resemblance to William. Only his dark eyes and eyebrows look like the Middletons. He also seems to have a very strong personality - stronger than William and Kate. He kind of looks like he's up to no good in some of those pics...it will be interesting to watch him grow up. Wonder what will happen when he figures out he's royal and not just an 'ordinary' boy? It must be cute. His first day of school, George will asked "What's your name?" 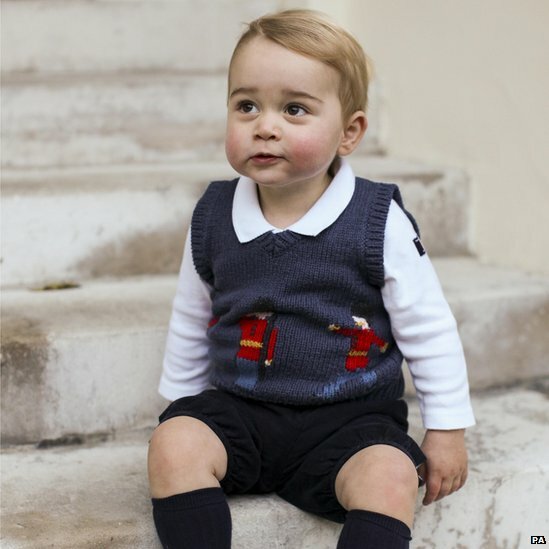 "Mine is HRH Prince George of Cambridge"
His hair is darker than his daddy's at that age. Especially noticeable on the one where is facing head on. William was very blonde as a toddler but he isn't that blonde now. Cheeks looks like Mum and Grandpa Mike in the eyes and nose. Hopefully he will get Mike's keeping your hair genes instead of daddy's early balding.